You can once again enjoy your granite in its best possible condition! 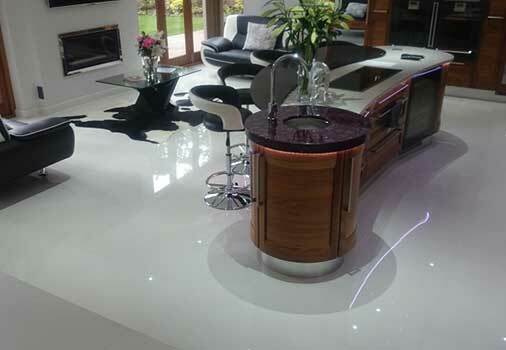 Welcome to Australia's leading tile care company specialising in the grinding, honing, polishing, restoration and maintenance of granite and all other natural stone and man made surfaces. If your granite has suffered serious staining, fading from dirt, deep scratches or has uneven tiles, it may be time to restore the natural beauty of your surfaces. Tile Cleaners Brisbane® take pride in the high quality and professional restoration services we provide our customers, and are committed to exceeding expectations, providing the specialist care your surfaces deserve. 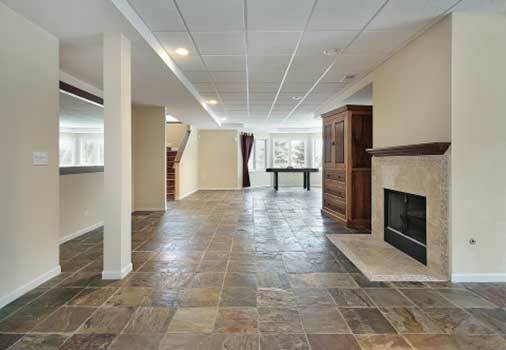 Granite delivers breathtaking beauty unmatched by synthetic materials and a very high level of durability. 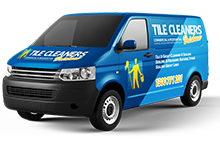 Tile Cleaners Brisbane® restore granite flooring, stair treads, counter tops, wall coverings and beautiful sinks and basins. By combining the latest state-of-the-art restoration equipment and our years of experience, with Tile Cleaners Brisbane® you can once again enjoy your natural stone in its best possible condition. Grinding your granite surfaces will smooth out imperfections and open a new layer of your stone upon which it is possible to build a high quality honed or polished finish. Grinding will remove deep scratches, stains and other contaminations from your granite, resulting in a very smooth and even surface, able to reflect light more consistently. 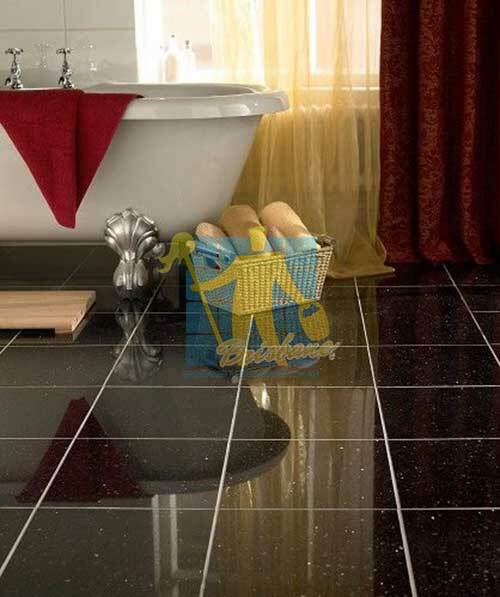 Grinding will also remove any lippage, the term used for uneven tiles which can occur after a typical installation. One of the first things people will often notice when entering your home or business are the surfaces. When your granite surfaces become damaged from every day usage, and improper care, you will need an expert to restore the life back to those surfaces. Tile Cleaners Brisbane® technicians use a number of professional processes and techniques to return your granite to its true beauty. Grinding: An aggressive approach to refinishing granite, using a metal-bonded and diamond grit heavy weighted floor buffer to remove deep scratches and lippage. 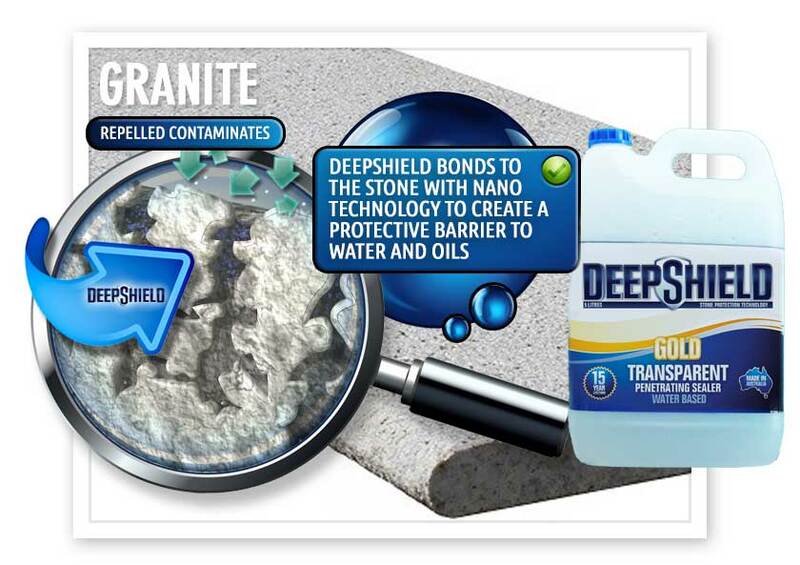 The porosity of the granite still remains noticeable, and this process is typically dust-free. Honing: This leaves a smooth flat finish with a matte look. Often completed after the grinding phase, this method is a much less aggressive approach than grinding. Although similar, the materials and grits used are not as coarse as with grinding. Many projects also may start with honing and skip the grinding phase. 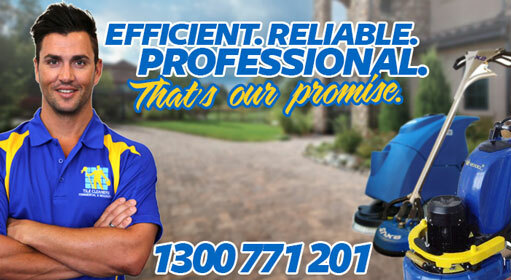 Tile Cleaners Brisbane® honing process is able to remove minor to moderate scratches and etch marks in a softer manner. When done properly, honing the granite will result in a smooth and even finish. 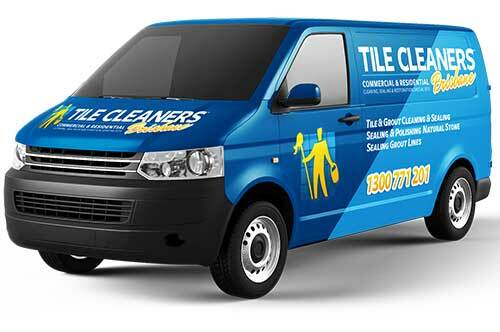 Tile Cleaners Brisbane® provide premium services to all commercial properties. 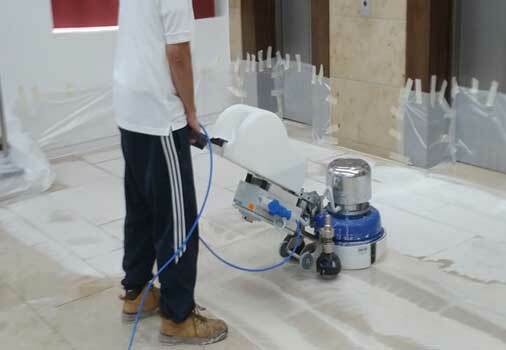 We are equipped to restore factory finishes to granite, sandstone, marble, bluestone, travertine and limestone surfaces with our experienced technicians and state-of-the-art equipment. 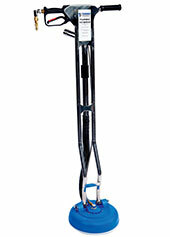 Lippage refers to uneven surfaces that occurs when stone or tiles are not laid to a uniform level. By running your hand over the grout line you will often notice a definite dip. 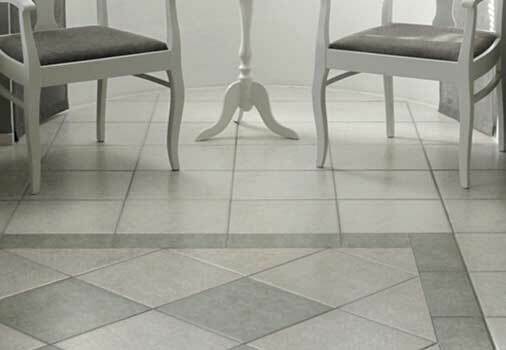 Sometimes this can be very uneven with a tile being a few millimetres higher than the adjacent tile. 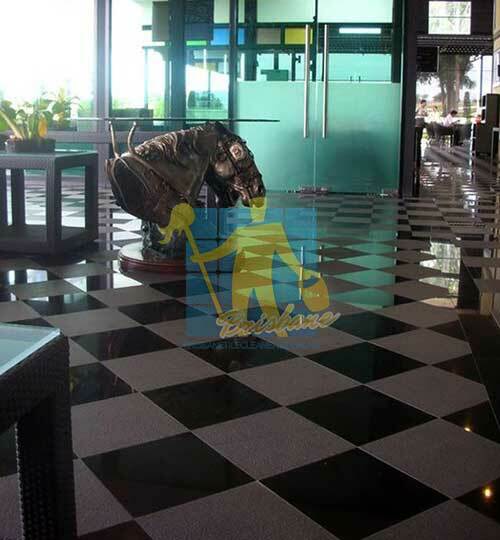 Tile Cleaners Brisbane® diamond grinding process will remove lippage, leaving the granite floor completely even and flat at the grout lines. This is achieved with metal bonded diamond plates which coarsely grind away at the stone leaving it flat. The next step is usually to repeat this process with finer pads, with each grade becoming progressively finer, the number of grades Tile Cleaners Brisbane® technicians use depends on the type of stone and the type of finish you require, usually a honed or polished, glossy finish. If your granite is damaged from etching and scratching, grinding will provide a beautiful end result. 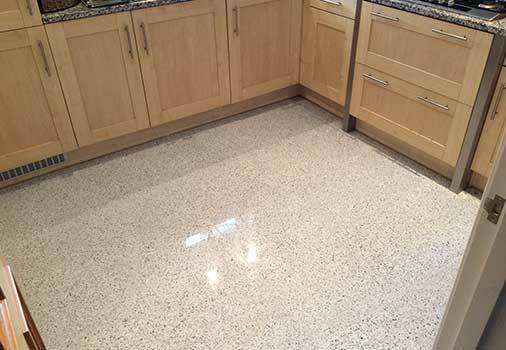 Don’t go through the pain and cost of having slightly worn granite re-tiled. 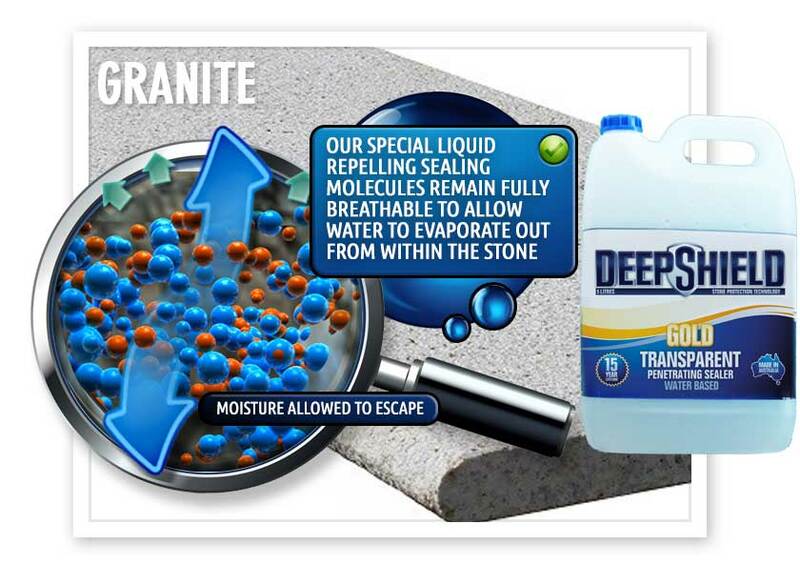 Once liquids spill on the surface of your granite, wipe it immediately. To clean stone, you should never use regular soap as it can seep through the surface and darken the area, instead use mildly abrasive household detergent. Never use vinegar. The acid in vinegar damages, actually etches and removes the surface of many stone types. After mopping, dry the floor with a cotton towel or use a sh-mop to remove the moisture and prevent water spots. Q: How long will it take to grind my granite surfaces? 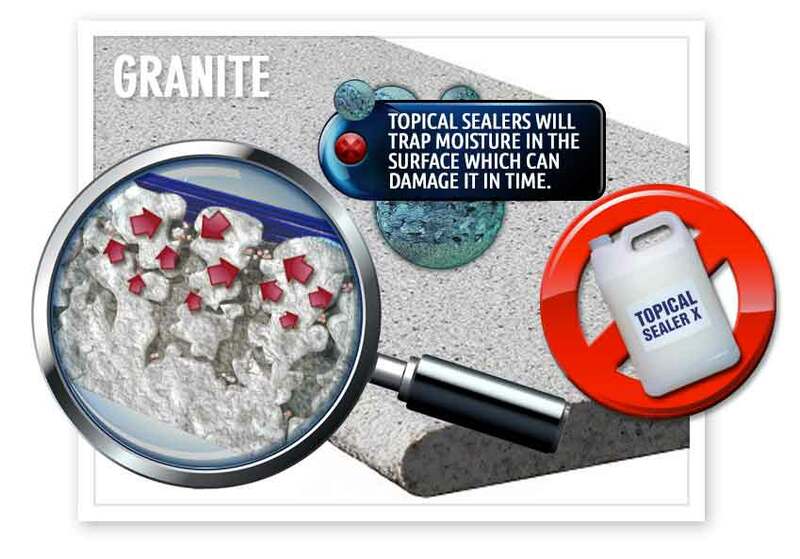 Q: Will grinding remove the sealer from my granite? Q: Is grinding my granite a messy process? Q: Can grinding damage granite? Q: Do I need to apply a sealer to my granite? Q: How will you charge me for grinding my granite surfaces?